The gradual uphill grade of the North Fork Highway combined with amazing views makes for a wonderful road cycling adventure. This 45 mile ride gives you lots of options. You can ride all the way from the Buffalo Bill Reservoir to the East Entrance of Yellowstone or you can do any number of sections of the route depending on your mood and time constraints. 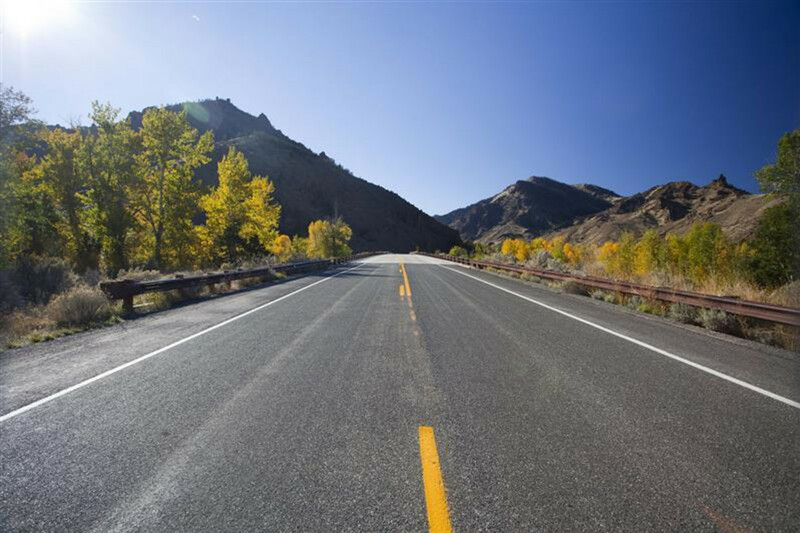 The road is well-maintained without a lot of shoulder debris and the traffic isn’t too overwhelming. Stunning rock formations and snowy peaks give you a lot to look at while rolling along. There aren't a lot of road rides that take you right to the boundary of America’s first national park, but this one does. You can start just 10 miles from Cody and then pick and choose which sections you want to ride. The first section between the Buffalo Bill Reservoir and Wapiti Valley is wide-open and rolling. Heading west you’ll be going uphill and possibly fighting the wind. The winds can be tricky along this stretch and you can get buffeted by the occasional cross gust as well. This section is by far the most difficult of the entire route. From the Shoshone National Forest boundary the road narrows a bit but the shoulders are still adequate. Watch for falling rock from the forest boundary to the park. Bring a spare tire as the volcanic rock is sharp. You might be lucky enough to see bighorn sheep, elk, mule deer and even moose along this section. During the summer the Pahaska Tepee Resort, just two mile from the East Entrance, is open so you can rest, grab some coffee or even a meal. The Forest Service campgrounds along the route have vault toilets but Pahaska has flush toilets and incredibly hot water. You can stop at Pahaska or continue uphill to the East Gate. This ride is for you if you like gentle elevation gain, rolling hills and a chance to enjoy some spectacular scenery. An early morning ride means less wind and mild temperatures as well as reduced traffic. You’ll be able to hear the river chortling and rushing along and the thunking of small rocks dislodged by bighorn sheep climbing along the cliffs. This is a good ride for older, middle-school aged kids. Put away your map and GPS on this ride. Clip in and start pedaling because you don’t have to worry about route finding nor do you have to worry about much cross traffic. This is a good ride for all types of bikes - there won’t be anyone nearby to sneer at the inappropriate wheels you brought along. Give this ride a go if you just want to get in some mileage. The incredible scenery is free of charge. From Cody take US HWY 14/16/20 west past the tunnels to the Buffalo Bill Reservoir. There are several pull outs along the road where you can park your car. Be advised if you use any of the pull outs in the Buffalo Bill State Park you’ll have to purchase a day use pass. Opt for some of the wider highway pullouts or even the Four Bear trailhead. 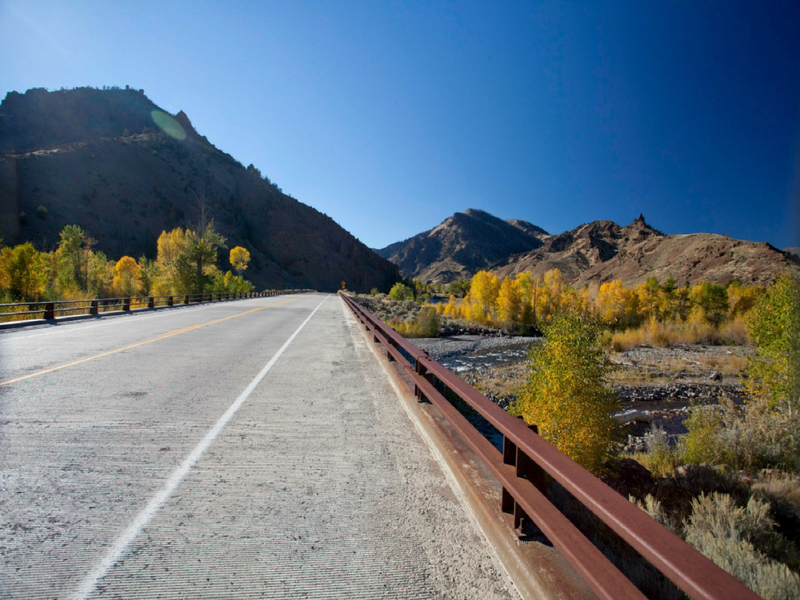 There is no cell phone coverage once you reach the Shoshone National Forest boundary. There are a number of guest ranches along the highway, all of which have local landlines in case you need to call for assistance. During the summer of 2015 it’s possible that there will be construction on the Wapiti section of this route. Watch for flaggers, one way sections and lots of dirt on the road.